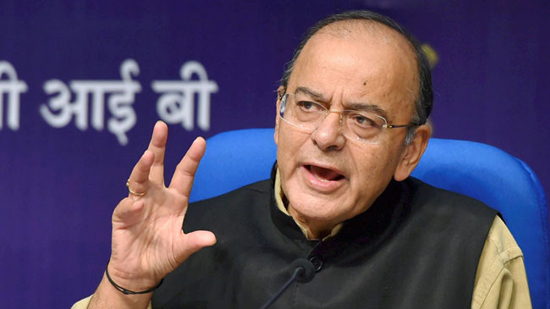 New Delhi, Nov 8:Amid opposition attack on the NDA government on demonetisation undertaken two years ago, Union Finance Minister Arun Jaitley on Thursday said demonetisation had led to strengthening of the economy of the country and increased tax base, leading to generation of more resources for development of the country. Addressing a press conference on the completion of two years of demonetisation on Thursday, Mr Jaitley termed it as a key decision taken by the Union Government and said it had a huge impact in formalising the economy. ‘Note ban led to formalisation of economy and expanded tax base,’, Mr Jaitley said. Taxpayer was paying for evaders, note ban was a key step in a series of steps,’ the Finance Minister said. In four years, the number of taxpayers has increased, he said. ‘When this government took over, total number of persons filing Income Tax returns in a country of 130 crore were only 3.8 crore and not all of them were paying taxes. Same was the position with regard to the indirect taxes, ‘ Mr Jaitley said. ‘Therefore the tax payer had to pay not only his own taxes but in order to run the system of governance also pay the share of the evaders. Hence there was a need to formalise the Indian economy,’ Mr Jaitley said. Talking about Jan Dhan Yojna, the Finance Minister said this scheme connected more people to banking system. He said digital transaction has increased due to demonetisation. The Finance Minister said through Aadhaar direct benefit transfer reached directly into bank accounts. On GST, the Finance Minister said the new tax regime ensured simplicity of tax procedures in matter of indirect taxes. He said demonetisation and implementation of GST curbed cash transactions in a big way. ‘Tax collections have risen despite Rs 97,000-crore annual income tax relief to smaller taxpayers and Rs 80,000-crore relief to GST assessees,’ Mr Jaitley said.